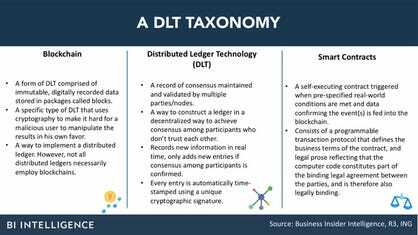 DLT’s value lies in its ability to centralize record-keeping, while cutting out the need for authorization by an overseeing party, instead allowing a record to be confirmed by multiple parties with access to the database. This means DLTs have the potential to streamline financial institutions’ (FIs) operations, boost data security, improve customer relationships, and drastically cut costs. But many FIs have struggled to implement DLTs and reap the rewards, because of organizational obstacles, but also because of issues rooted in the technology itself. There are a few players working to make the technology more usable for FIs, and progress is now being made. A few FIs have pulled ahead of the curve and are very close to taking their DLT projects live, if they haven’t already. These players can serve as useful case studies for other institutions in getting their DLT solutions live.